Note: apologies to readers – this blog has been frequently inaccessible over the last several days. This is due to some serious reliability issues at my hosting provider (typepad) which they are attributing to DDoS attacks by hackers. I hope this doesn't become a regular thing. Meanswhile, I'm looking into alternatives with respect to hosting, but any blog migration to new servers would be laborious and slow-in-coming…. Now back to our regular broadcast. Less than two weeks ago, it just so happened that the debate topic offered up by our textbook in my Newton2-T반 (elementary 5th and 6th graders) debate class was "School field trips are a good idea." At that time, the kids were all adamantly in favor of school field trips, as is perfectly understandable. It was difficult to get some kids to take the CON position in the debate, so I was forced to choose two of them randomly to take the negative side. Nevertheless, they all did a good job. 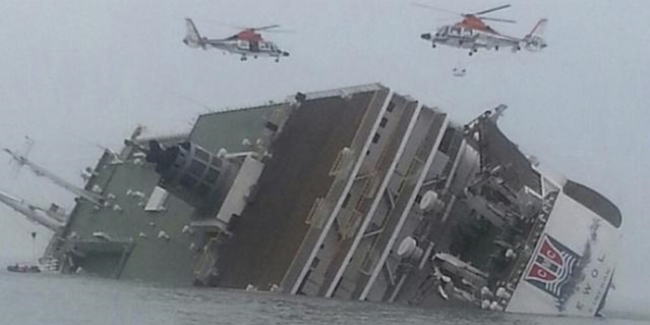 Lo, the following week – last week – the Sewol disaster occurred. The sinking ferry was almost exclusively populated by field-tripping high-schoolers. Suddenly, the kids all were quite opposed to school field trips. School trips are obviously too dangerous, they explained, absorbing the media hype and unfamiliar with statistical thinking.